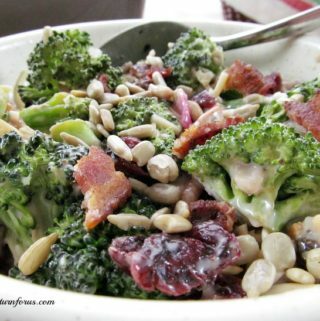 This Easy Broccoli salad recipe can be made quickly and other than frying the bacon, everything is just measured and added. 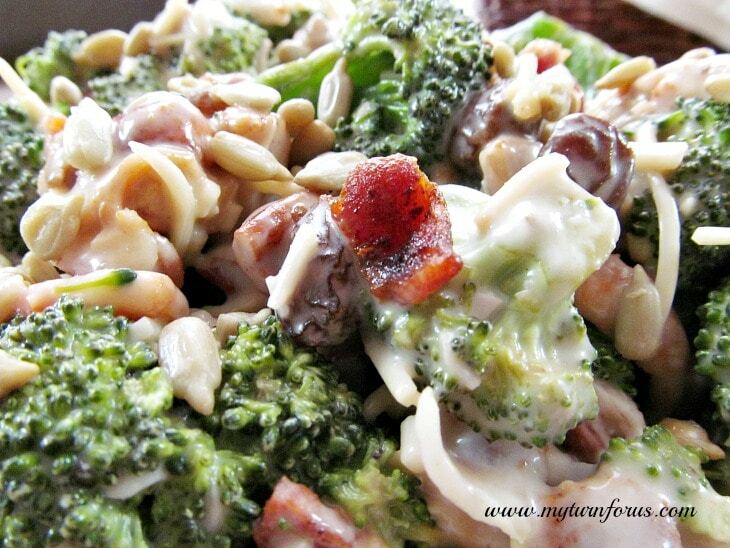 This Broccoli Salad is one of the easiest and quickest salad recipes we make. 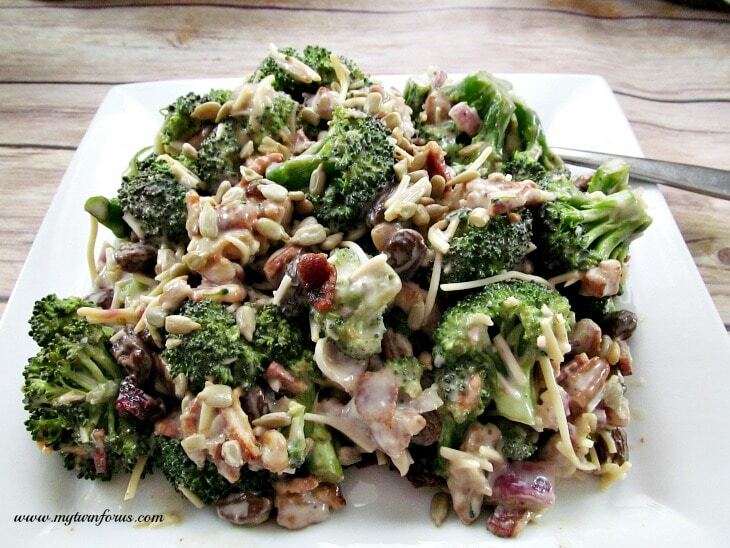 We use a bag of broccoli florets and the dressing for this broccoli salad comes from a jar. 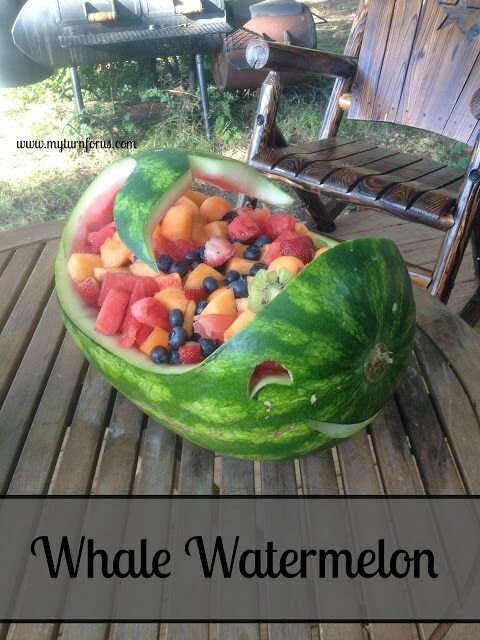 But it is amazing. 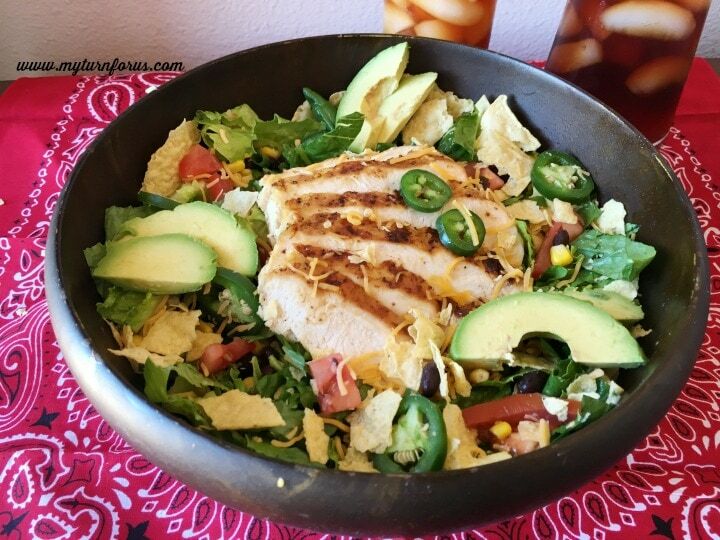 Even though this recipe is simple, we have added a bounty of ingredients for a perfect blend of flavors. 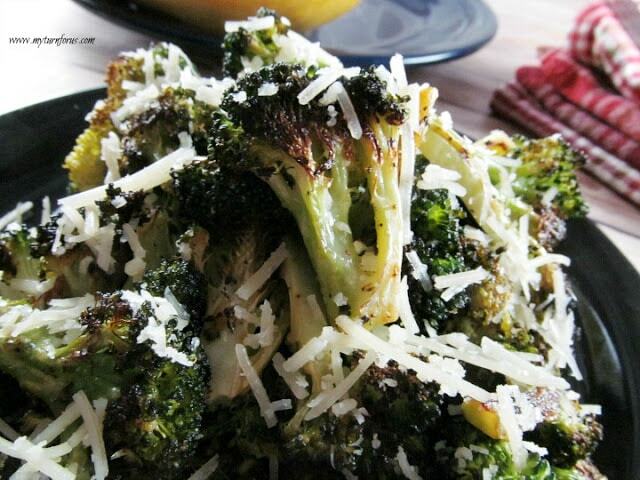 From the crisp broccoli to the soft Crasins and crunchy sunflower seeds and of course, cheese, your mouth will explode with flavor. 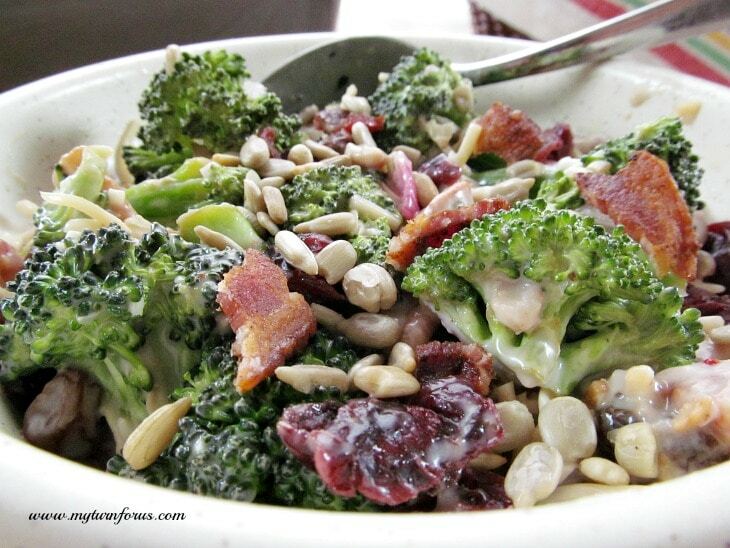 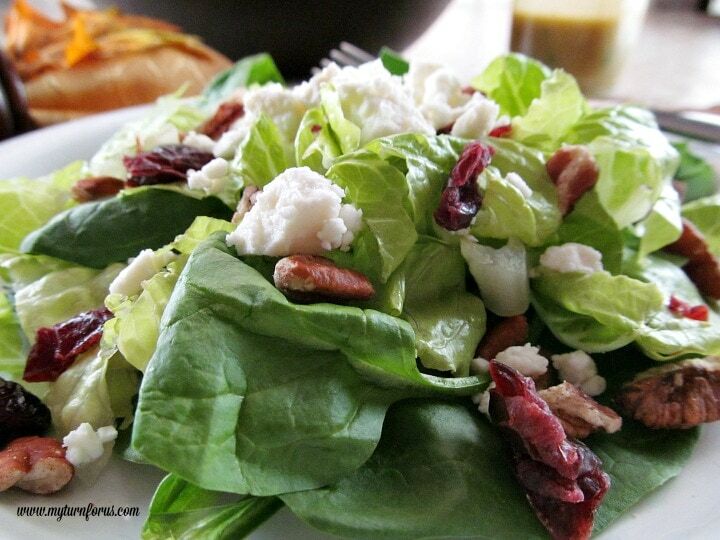 Even though we normally make this salad in the summer, it’s also a great winter dish.